Very Rev Dr Lorna Hood received the award for her “exceptional and long service to the Church of Scotland and promoting tolerance and understanding” through her role as the chairwoman of the Scottish board of the Remembering Srebrenica charity. She was presented with the accolade by Prince Charles at Buckingham Palace in London this morning. Very Rev Dr Lorna Hood was presented with an OBE at Buckingham Palace. Dr Hood spent 37 years as the minister of Renfrew North Parish Church in Renfrewshire before retiring in 2016. 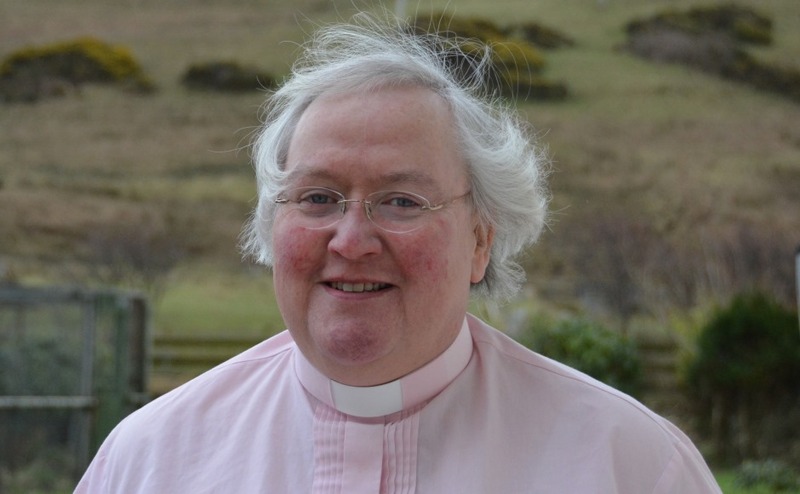 She is the third woman to serve as Moderator (2013-14) and was the Church's longest-serving woman parish minister when she retired. Dr Hood of Paisley said she was dedicating her OBE to the Mothers of Srebrenica organisation and the many survivors of the 1995 Bosnian massacre who bravely speak out to try and tackle hatred and intolerance. She picked up her award the day after Ratko Mladic, known as the Butcher of Bosnia, was found guilty of genocide and other atrocities in the 1990s Bosnian war. Dr Hood said: "It has been a wonderful day shared with my husband Peter and our children, Laura and Michael. "It has been very poignant for me as Mladic was convicted yesterday. "It was such as sense of occasion and I am humbled by the achievements of so many recipients like the principal of Glasgow University Sir Anton Muscatelli." Dr Hood said the sentence sent a clear message that hatred, persecution and discrimination “will not be tolerated by the international community”. In July 1995, Mladic and his Serbian paramilitary units overran and captured Srebrenica, despite its designation as an area “free from any armed attack or any other hostile act”. In the days following its fall, more than 8,000 Bosnian Muslim men and boys were systematically massacred and buried in mass graves. Thousands of women, children and elderly people were forcibly deported and a large number of women were raped. It was the greatest atrocity on European soil since the Second World War. The UN tribunal in The Hague in the Netherlands convicted Mladic, who also led the siege of Sarajevo, on 10 of 11 charges against him. The former general, 74, who has been on trial since 2012, was not in court when the sentence was read out. He had been removed for shouting at the judges. Dr Hood said: “Important though Mladic is, he is but one man in a web of violence and slaughter that spread over Srebrenica and other towns and villages in the region. “As yet those thousands who carried out his orders remain at large often living in the same communities and in positions of responsibility. “This verdict must also be seen in the wider context of international relations. “The perpetrators of the crimes had previously been neighbours and school friends. “The verdict will hopefully convey a clear message that hatred, persecution and discrimination has the potential to escalate and will not be tolerated by the international community." ”Dr Hood first visited Srebrenica in 2013 when she was Moderator. She visited the site of the massacre and met the mothers of some of the victims. 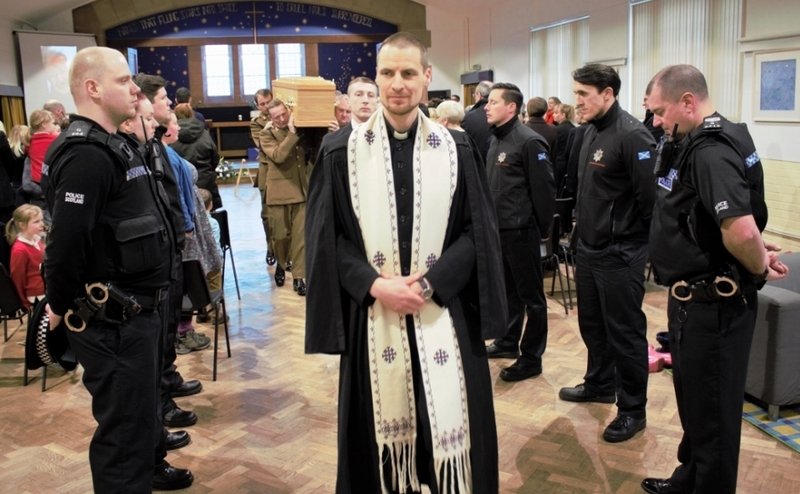 Dr Hood, one of Her Majesty the Queen’s personal Chaplains, was so moved by what she saw she helped found the Scottish Board of Remembering Srebrenica to raise awareness about the atrocity. Remembering Srebrenica Ambassador and President of the Mothers of Srebrenica Association, Munira Subašić, was at The Hague to watch Mladic being sentenced. “In July 1995, my world changed forever," she said. "My child and husband were taken from me in the most brutal and inhumane way imaginable at the hand of Mladic and his forces. "I, along with thousands of other women, waited for my husband and son to arrive. "I have now waited for over 20 years for the man responsible for their deaths to face justice and I am pleased he has finally been held to account but this verdict will never bring back the thousands of lives he has destroyed." Fiona Malcolm at Srebrenica–Potočari Memorial and Cemetery. Dr Hood said it was an honour and a privilege to be the chair of the charity board. “It is an immense privilege to be able to take people out to Srebrenica to meet with survivors and hear their stories," she added. “It is so important that we share them in Scotland to tackle hatred and intolerance because if genocide can happen there, it can happen everywhere." First Minister Nicola Sturgeon, Scottish Conservative leader Ruth Davidson and former Scottish Labour leader Kezia Dugdale, who have all visited Srebrenica with Dr Hood, said they were thrilled and delighted that she had been made an OBE.